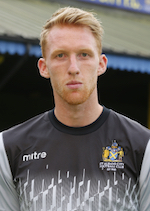 Goalkeeper signed from Boreham Wood FC during May 2016. James is also a coach at Chelsea F.C. youth academy.